"Men who met Ed Delahanty had to admit he was a handsome fellow, although there was an air about him that indicated he was a roughneck at heart and no man to temper with. He had that wide-eyed, half-smiling, ready-for-anything look that is characteristic of a certain type of Irishman. He had a towering impatience, too, and a taste for liquor and excitement. He created plenty of excitement for opponents and spectators when he laid his tremendous bat against a pitch." -Robert Smith in "Baseball", circa 1947. 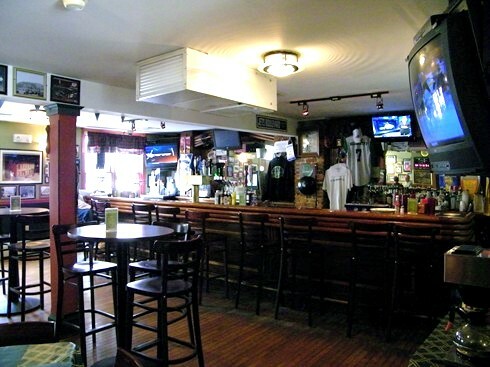 Delahanty’s provides all those pleasantries and amenities that one would expect to find in any classic American neighborhood tavern: the good-natured banter of the congenial staff and colorful locals, a substantial selection of beer and spirits, walls adorned with cherished mementos, and that handsome comfortable bar—to which one can easily anchor him or herself to during those long sessions that places like this tend to inspire. 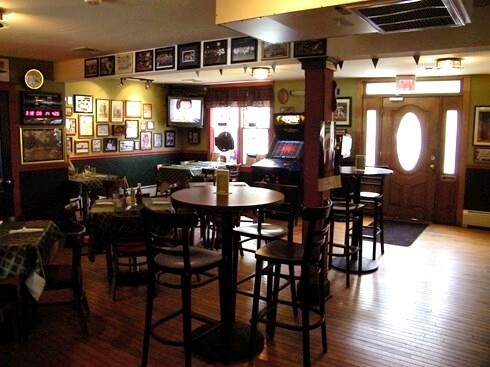 But this stout little pub in Phillipsburg, New Jersey also serves up a couple of very welcome surprises. 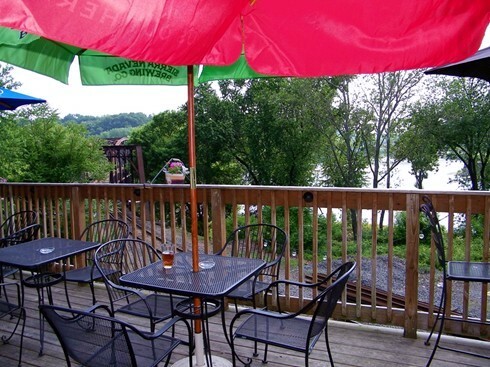 There is an outside deck that offers an absolutely superb view of the confluence of the Lehigh and Delaware Rivers. Below the rumble of an occasional passing freight train compliments this splendid bit of scenery. And then there is the intriguing story attached to this place that adds to its charm and mystique. 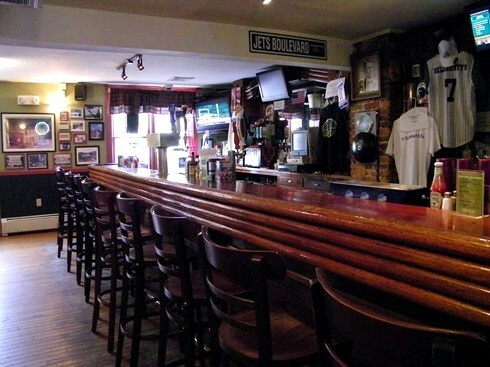 The bar is named in honor of Edward James Delahanty, a man whose wizardry with a bat put him in a league with Ruth, Gehrig, Aaron and Mays. And although there are only two other men in the history of professional baseball that have batted over .400 in three seasons, (Ty Cobb and Roger Hornsby) this 1945 Hall of Fame inductee remains virtually unknown to most fans of the game. 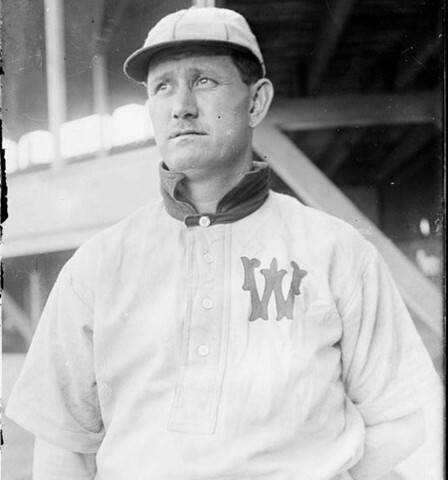 But from 1893, while playing for the Philadelphia Phillies and later the Washington Senators, until his untimely death in the summer of 1903, few men terrified more pitchers or put more balls over the fence than “Big Ed” Delahanty. But unfortunately, it would his off field behavior that would become the defining story of his shortened career. On the evening of July 2nd, while in Detroit for a series with the Tigers, he left his team and boarded an eastbound train. Being thoroughly dissatisfied with conditions in the newly formed American league, Delahanty hoped to join his fellow Washington teammate George Davis who was attempting to jump leagues and secure play with the New York Giants. Somewhere near the city of Buffalo “Big Ed,” who was no stranger to disorderly conduct or public drunkenness, apparently physically threatened a number of passengers. This led to his expulsion from the train on the Canadian side of the Niagara River. On the morning of July 9th, a tour boat operator would find his bruised and battered body at the base of Niagara Falls. Many assumed that the intoxicated ballplayer probably fell through the tracks of the railroad trestle while attempting to chase down the departing train. There was also talk of suicide and foul play, or a possible scuffle with a night watchman that may have led to him falling or being pushed off the bridge. While it was officially ruled an accident, his death remains a mystery to this day. As I watched the magnificent cloud veiled sunset from the deck overlooking the Delaware, I couldn’t help but make a connection between these surroundings and that place where Edward James Delahanty spent his last moments on Earth. 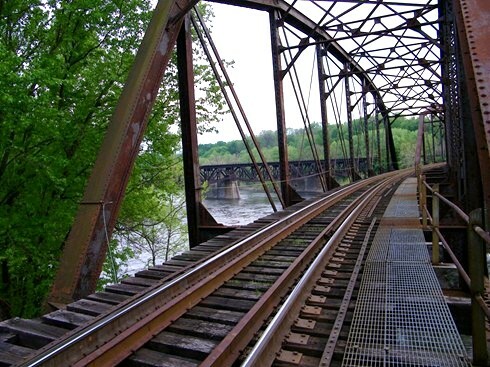 There was the river, the falls, and the rusting steel trestle. I thought about how our every decision impacts the future. There are some baseball enthusiasts and experts who contend that had “Big Ed” made it to New York to play for the Giants the course of the game would have been radically altered. At the very least, the mighty sluggers return to the National League most likely would have touched off a very long and nasty legal battle, but instead the two leagues were able to peacefully coexist for the better part of the twentieth century. 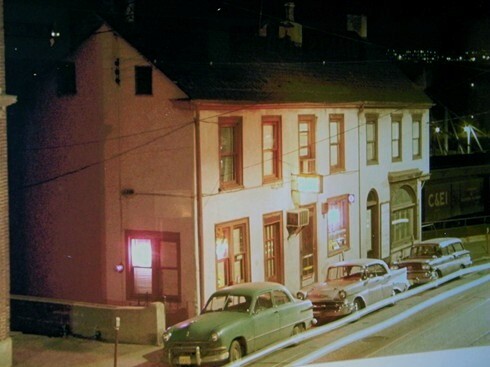 So as I ponder a possible nighttime stroll along the tracks over the river, I once again think of “Big Ed,” and I wisely opt instead for another pint—and gladly remain on deck at Delahanty’s! 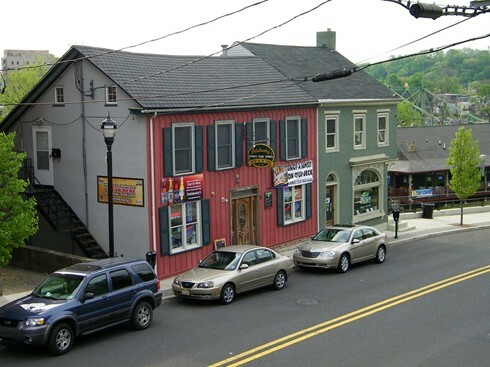 Phillipsburg, New Jersey and Easton, Pennsylvania.